It appears the bad news for long-term Bitcoin investors continues unabated. The virtual currency (VC) has stayed below the US$4,000 mark and a market analyst for the financial services company IG Group has been quoted as saying that the VC is approaching a “capitulation moment.” What this comment means is that many investors may soon reach the point where they just want to cut their losses (or make very small gains, depending on when they initially invested) and run. 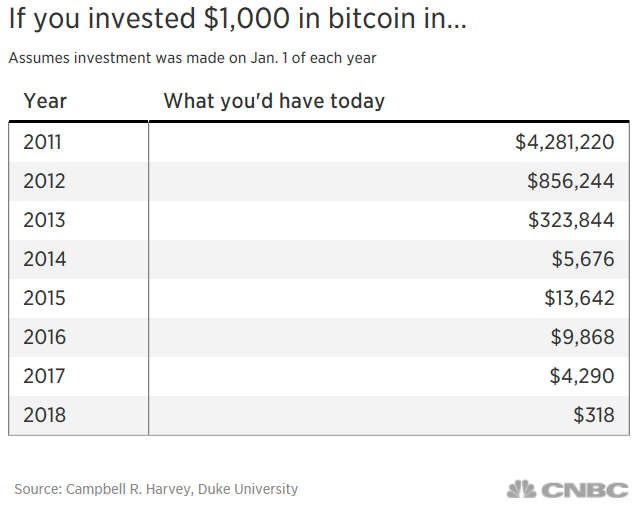 A table (see below) published by CNBC and created by Campbell R. Harvey, Duke University, helps explain Bitcoin’s situation in very stark terms. If a person had invested US$1,000 in the VC on January 1, 2011 that investment would now be worth a staggering US$4.28 million. Even relative latecomers could have made decent returns: US$1,000 invested on January 1, 2015 would now be worth US$13,642. But those who came late to the table and invested US$1,000 on January 1, 2018 would now be looking at a negative return of a paltry US$318. As usual, there are two sides of the Bitcoin. There are those who are expecting the VC to completely crash and maybe even become practically worthless. 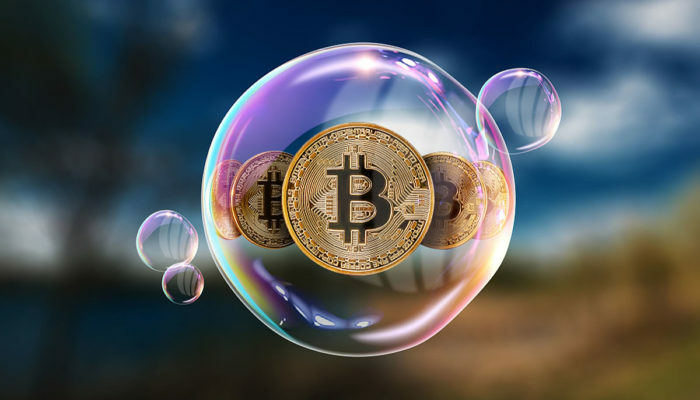 Then there are those that believe Bitcoin is simply hitting its correct value (possibly around US$3,000) and that the bull run of 2017 was either a market anomaly or criminally manipulated, something that the U.S. Department of Justice is investigating. But if the current trend continues, it’s likely it won’t be long before Bitcoin falls below US$3,000. > Notebook / Laptop Reviews and News > News > News Archive > Newsarchive 2018 11 > Bitcoin stays below US$4,000, approaching "capitulation moment"